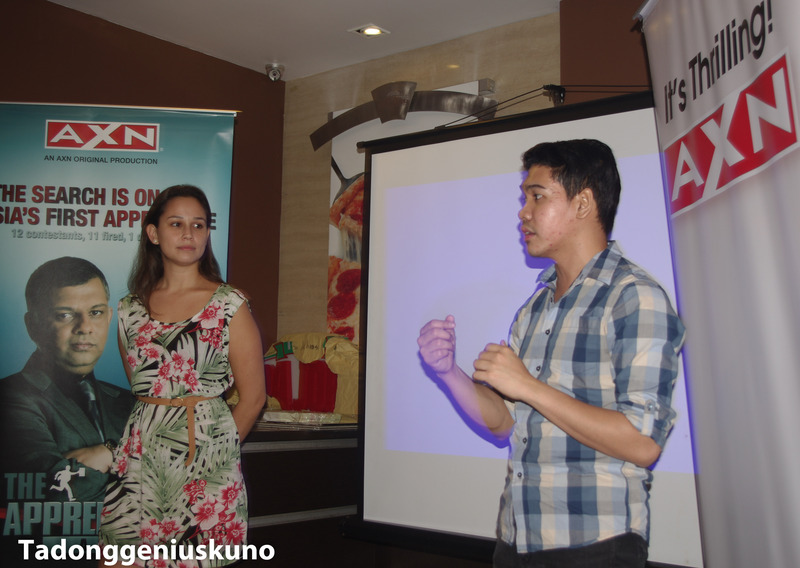 Ever since Donald Trump hired Bill Rancic in the first season of the original The Apprentice, 58 winners of the show’s different franchises have passed what they call as “The Ultimate Job Interview” and two of our kababayans hope to be included in the winners circle in the latest one, AXN’s The Apprentice Asia. 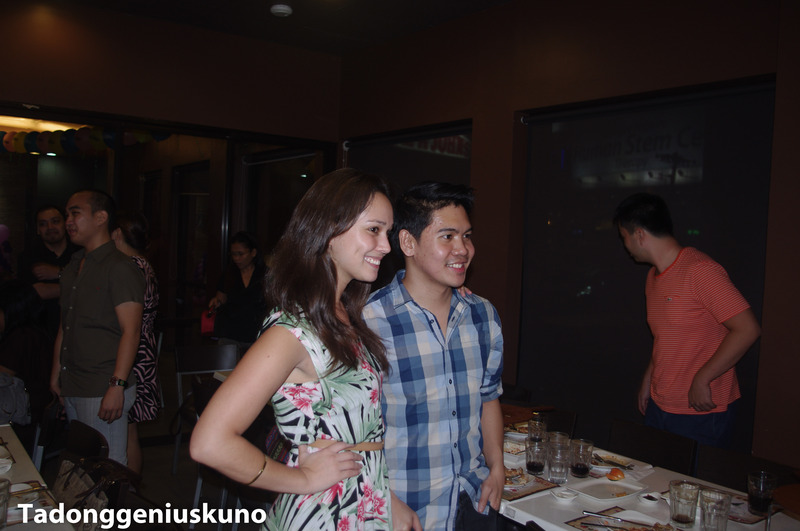 Pinoy Bloggers, including yours truly, had the privilege to meet Team PH contestants Celina Le Neindre and Jonathan Allen Yabut at Papa John’s Tomas Morato last Friday and it was nice to see them in a more relaxed environment away from the stress of the competition. It was evident that they were tired from doing the media rounds the whole week but they kept their spirit and enthusiasm to meet and greet all of us. Arriving with no assistants in tow, in true Apprentice fashion, they did the set up of their equipment and the tarpaulin backgrounds. There was a slight technical problem but they managed to stay calm and relate their Apprentice experience to everyone. The competition certainly helped, right Celina and Jonathan? When asked what their motivation was in joining the reality competition program, Jonathan or Jon as he is usually called, said that he has always been competitive and a go-getter. A fan of the original Apprentice and its Australian version, he said that Filipinos are not exactly rated well as our Asian neighbors when it comes to sales and marketing and his stint on the show will hopefully show that we are good if not better in that field. Celina on the other hand, a chef and food and travel expert, wanted to prove to people that anyone can make it. A certified probinsyana, she is not afraid to the dirty work (e.g. scrubbing toilets in France) and sees the experience as a great learning experience to improve herself. When a fellow blogger asked them what the audience should expect in the remaining episodes (without giving any spoilers of course) they both said: “Expect more drama.” We shall expect that Celina and Jonathan but we all hope that beyond the drama you will get to show more of the reasons why a Pinoy should become the very first Apprentice Asia winner. Go Team Philippines. Pinoy Pride Represent! Thanks Papa John’s Pizza, AXN Asia and The City Roamer a.k.a. Alwin Aguirre for making the event possible and letting Tadonggeniuskuno be a part of it. UPDATE: Jonathan Allen Yabut #AAJon won over Singapore’s Andrea Loh in the finale of the Apprentice Asia. Congratulations Jonathan.